I learned how to dress for the winter by trial and error, and because of that there were a lot of adventures that would have been more pleasant if I'd known what I was doing. My first hike in the Adirondacks was the half-mile trek to Copperas Pond, which is right down Route 86 from Whiteface Mountain in Wilmington Notch. 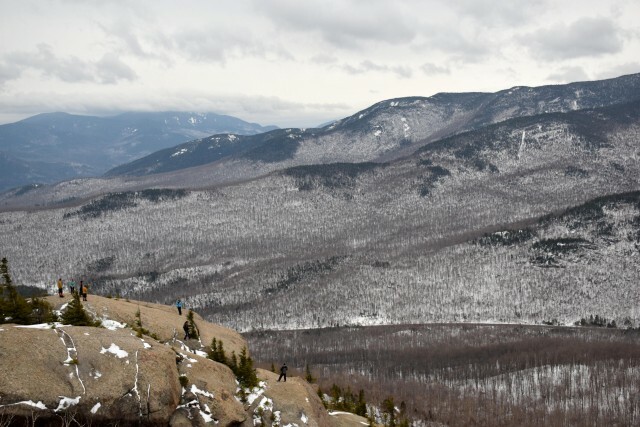 My friends and I were visiting in April and we weren’t expecting snow because there wasn’t any in Binghamton, which is about a four-and-a-half-hour drive south of the Whiteface Region. What a difference some elevation makes! We were greeted by soft, knee-deep snow that slowly became waist deep as we clambered up the steep hill to the pond. I still remember what I was wearing that day. Blue jeans with sweat pants underneath for insulation, a cotton T-shirt with a hooded cotton sweatshirt over it, the shell from a skiing jacket, gloves, a hat, and a pair of non-insulated, steel-toed leather boots that probably weren’t the least bit waterproof. Oh, and a thick pair of cotton socks. I sort of had the layering concept going for me, and the gloves, hat, and ski jacket were decent choices, but the rest was simply wrong. A wise man — the former head of Plattsburgh State’s Expeditionary Studies department — once explained to me that a person can make the same mistakes many times before the consequences of those mistakes finally rear their ugly heads. If I had twisted an ankle due to my awful choice in footwear, the sweat-soaked cotton clothes I was wearing would have made me cold in no time. Hypothermia doesn't sound fun — imagine your body temperature dropping rapidly as you shiver violently in an attempt to stay warm — but the risk of that happening can certainly be reduced by following some simple guidelines on dressing for the cold. Here’s the first rule: cotton kills. If that sounds a little harsh, that’s a good thing! Cotton fibers are hollow, and like little straws they can fill with lots of water, holding up to 25 times their weight. That means the heavy cotton hoodie I wore on my maiden voyage to Copperas was capable of holding lots of sweat, or lots of cold water if I slipped and took a bath in the stream the trail follows. Luckily, there are alternatives to cotton. The shape of synthetic and wool fibers prevents those materials from absorbing much water, so even after a wool shirt is submerged in a pond its fibers still have enough air space to trap body heat and keep whoever is wearing it warmer than they’d be in soaked cotton. If you’re in a bad spot and have to wait for rescue, that extra heat could save your life. It’s also worth noting that wool socks are ideal for hiking, even in the summer. Since cotton absorbs moisture, damp cotton socks will rub against the skin and cause painful blisters, making walking nearly impossible. And wool socks can't be beaten on a winter day, as they'll trap heat and provide a slipper-like experience when paired with a good pair of insulated boots. The bottom line: Only wear non-cotton clothes when heading out in the winter. Wool garments are my personal favorite and can be found at bargain-basement prices in thrift stores, but synthetic blends are also great. If you’re in doubt, check the tag. If cotton is listed, avoid it. A big, bulky wool sweater worn under a big, bulky winter jacket seems like the perfect cold-weather combo, but if you’re working up a sweat that pairing leaves little wiggle room. Instead, try layering. Start with a thin, tight-fitting thermal shirt and pants, called a base layer. From there you’ll construct a nice, cozy barrier that uses your body heat to keep you warm despite the Arctic conditions. Remember how I mentioned that wool traps body heat? This is the same idea. If you wear a medium-thick shirt over the base layer, then throw a thicker shirt over that, you’ll have created a series of air spaces for your body to heat up as you climb a mountain or ski through moguls. The best part is, if you start to overheat (trust me, it can happen even on absolutely frigid days) it’s easy to remove a layer or two. Feeling chilly again? 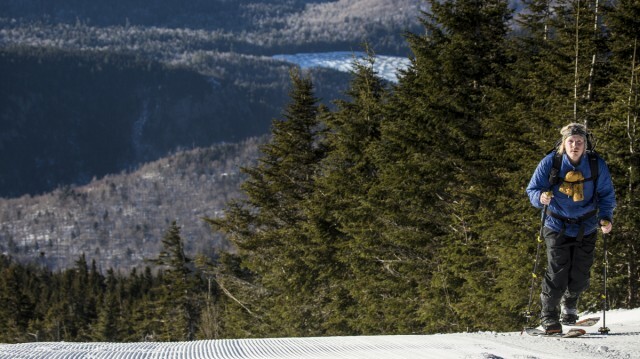 Put some of those layers back on and you'll start to warm up as soon as you get moving again. Also consider glove or mitten liners, which are just thin gloves that provide a base layer for your hands. The bottom line: Wearing multiple layers traps heat better than wearing a couple of really thick layers, and you’ll have more temperature control as your activity level changes. Whatever you’re wearing as a jacket and snow pants will perform double duty in the winter, trapping your body heat inside while keeping the nastier elements at bay. There are countless products and fabrics out there, but the goal is the same — staying warm and dry is paramount to comfort and safety. I prefer a thin shell on my upper and lower body because I want something that will perform the basic functions of being waterproof and windproof without making me too hot. I’m always amazed by how easily the winter wind cuts through my shirts once the shell is removed! Instead of recommending a specific brand for a jacket and pants, I’d advise doing some research and finding the best item that fits within your budget. Expensive doesn’t always mean high quality, but be aware that cheap usually means the garment won’t hold up well to abuse. Also be aware that waterproof and water resistant are not the same. The former means the garment will keep water out, while the latter indicates that water will eventually soak through it. The bottom line: A windproof and waterproof outer layer is essential for keeping warm air in and cold air and water out. It’s possible to go more in depth regarding how to dress in the winter, but the above basics are a great place to start. Make sure to bring mittens or gloves, a hat, and whatever else makes you comfortable. 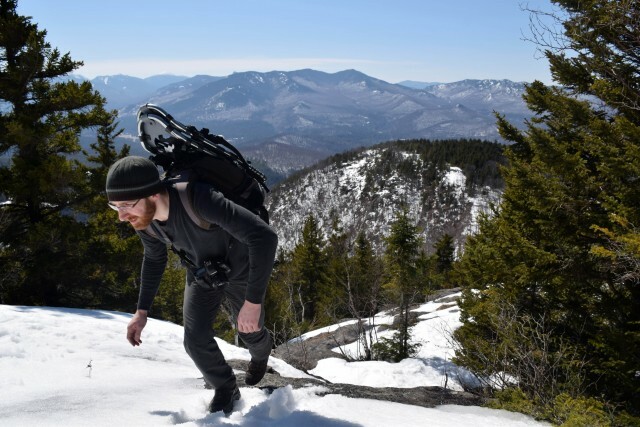 Some people bring face masks and goggles on hikes to open summits, where wind is almost a given and the temperature can be more than 20 degrees colder than in the valley. I like to bring a neck warmer, and I always use the hood on my shell to trap extra heat on extra-cold days. Whatever you decide to do, there’s one final bottom line that’s worth adhering to: Bring extras of everything, especially when hiking. Wool can still trap body heat when it’s wet, but that’s nothing compared to having a couple of dry layers to change into. Remember, bad habits can turn into life-threatening experiences, even on short hikes, so be prepared for the worst and make your time outdoors in the winter the best it can be. 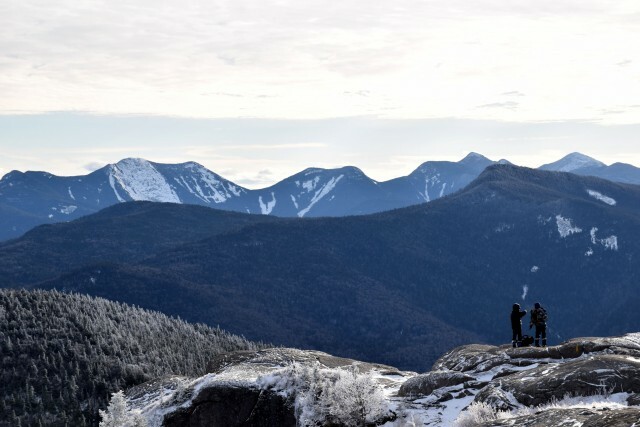 There are a lot of year-round outdoor activities in the Whiteface Region. After you're done adventuring, make sure you satisfy your hunger, then get warmed up in one of our many lodging options.